Sirpa & Timo are no ordinary couple, and I love how their wedding reflects their personalities and desire to do things their way. 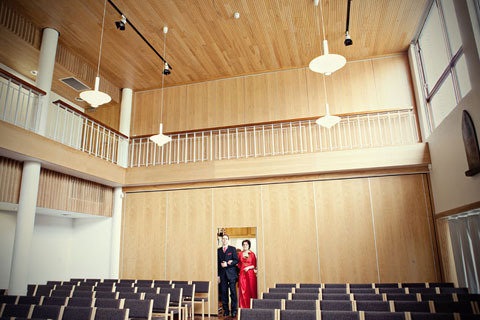 A most unexpected proposal, the cool Scandinavian timber interior of the Finnish Church, and the bride’s bold choice of a bright red wedding dress combine to make the most personal wedding story! 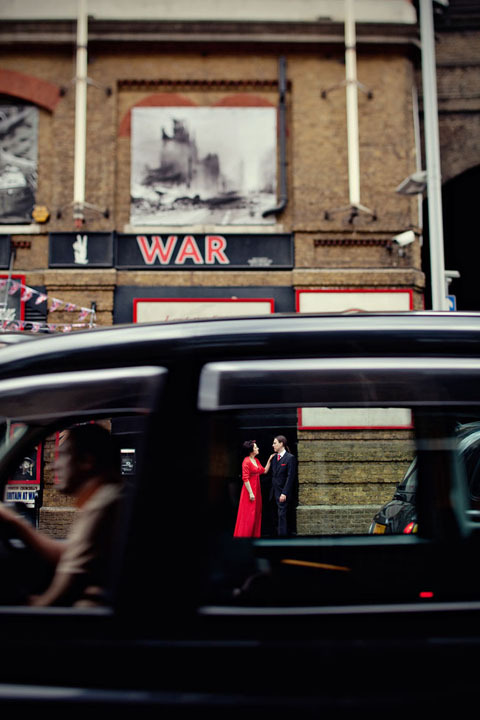 Isn’t red the perfect choice for a London wedding? It makes for some great images taken at iconic London landmarks! 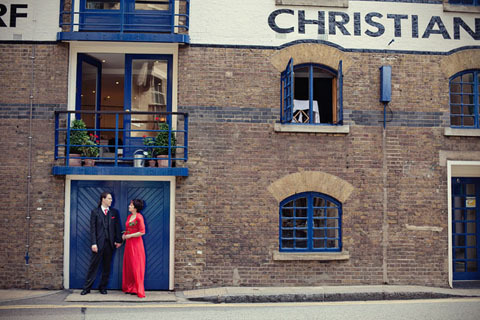 Their intimate London elopement was captured by the exceptionally talented photographer Marianne Taylor, whose work has been featured in Cosmopolitan Bride and Wedding Magazine. 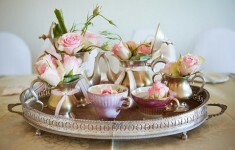 Needless to say I am honoured to feature her work today! 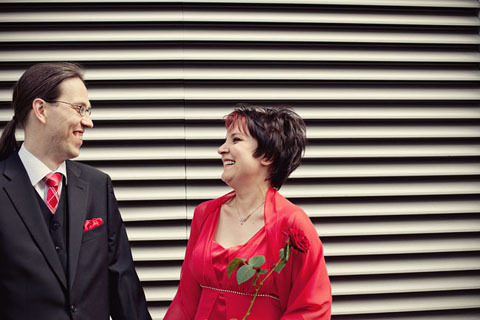 We have been together over twelve years – time really goes by ;-). We met via Internet dating site, and during the past twelve years we have grown together from new graduates, to a couple with a balanced life. Only my husband could think of such a unique proposal. In early spring this year, I was got an unexpected voice mail from Fedex about a package they have been trying to deliver to me , and was asking when would be the best time for the delivery. 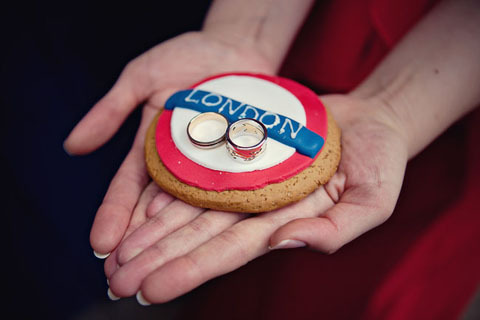 I started to think could this be something do with the fact that we had already booked the venue in London for our wedding!! I opened the package, and there it was, a small booklet of our life including some pictures of us and a lovely story which ended with “The Question” …and of course, I said YES I WILL. The proposal could not be more my husband’s style. Just perfect! 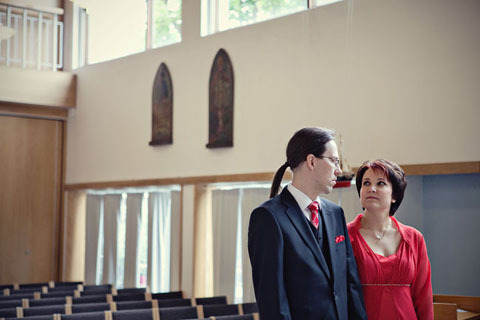 We had always known that if we someday get married, it would not be a traditional Finnish summer wedding with all the hundred or so quests including relatives you might not have ever met before and with all the hassle and buzz. 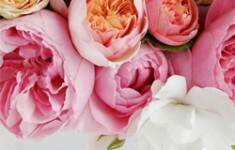 Being together so long time the elopement felt the best way for our wedding and something what would suit us most. 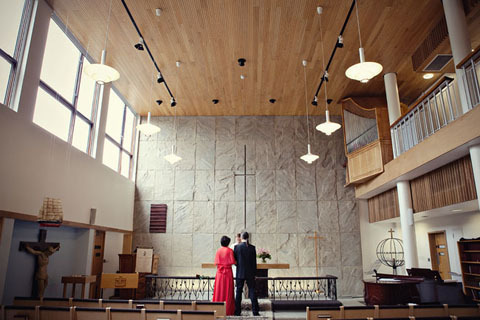 We got married in London, at the Finnish Church. 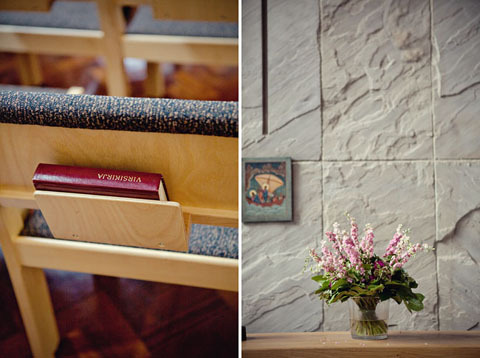 One of our friends wedding took place in that church few years ago and that sort of stayed in our minds as one option. To make it really an elopement it felt like a good idea to have the wedding aboard. As we already were planning the trip to London, we also decided to continue the trip having our honeymoon in the Seychelles. No one knew our plans, and it was sometimes a bit difficult not to tell anyone. I have to say a big thank you to my husband for his patience for listening my “bridezilla” moments as I did not have my bridesmaid!! We wanted put some effort on having a professional photographer, it then was natural to dress-up and to do our best to look good. 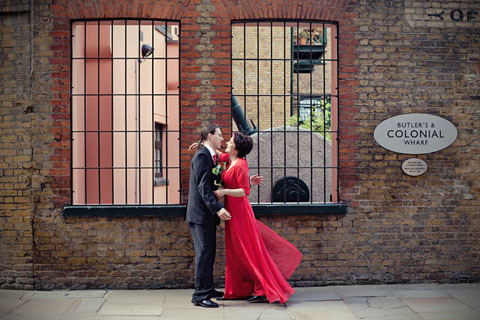 The personal touch was to have the bright red long bridal dress – I definitely would not felt as myself in a white bridal dress, although they are so beautiful. We celebrated the wedding day having an excellent dinner in one of the Gordon Ramsay’s restaurants, at Claridge’s. We thought that would suit well, as we were in London. 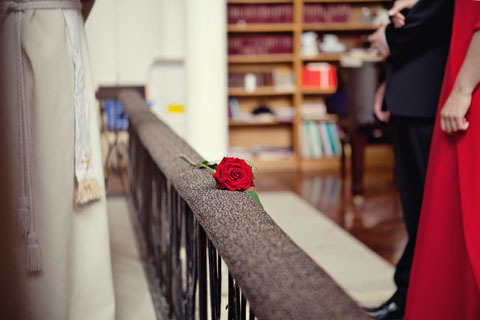 For future brides and couples, I would like to courage you to plan your wedding day jby thinking about what you really want. I know this can be quite hard, and you may even feel a bit guilty in a way. But in the end, the wedding day should be about the couple feeling comfortable, enjoying themselves and the warm feeling the day brings along. Thank you Sirpa & Timo! I’ve loved sharing your day, and I hope your marriage is a long and happy one. 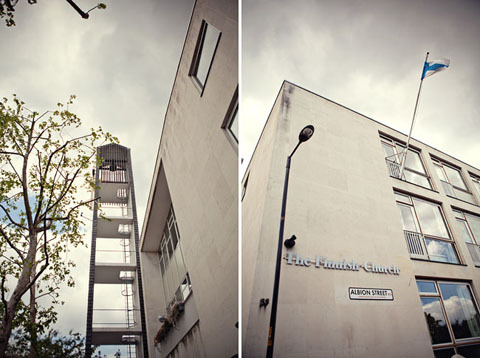 If you would like to see more of Marianne’s latest work please head over to her blog, or check out her wedding portfolio here. We’ll be continuing the theme of something different tomorrow on Bijoux Bride, when we take part in round two of Blogging Around The World! You’ll just have to wait and see what it’s all about tomorrow, don’t miss it! 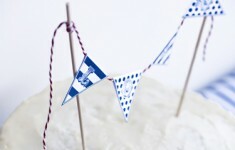 Printable mini bunting for your wedding cake!